Alzheimer’s is a progressive neuro-degenerative disease impacting on approximately 26 million people on a global scale. The disease affects one person in twenty over the age of 65. Researchers at a recent symposium, held at the 2014 Alzheimer Europe Annual Congress, presented scientific evidence that linked regular moderate coffee consumption with a reduced risk of developing Alzheimer’s Disease. responsible for the development of amyloid plaques). Secondly, it reduces the hyperphosphorylation of tau protein (the process which is responsible for the formation of neurofibrulary tangles in Alzheimer’s). Caffeine was also found to reduce inflammation and decreases the extent of neuronal deaths, especially in the hippocampus and cortex regions of the brain involved in memory. As a neuro-stimulant, caffeine also promotes higher levels of acetylcholine, the neurotransmitter involved in cognitive functioning. A Mediterranean diet, consisting of fish, fresh fruit and vegetables, olive oil and red wine, has also been linked with a reduced risk for development of Alzheimer’s Disease. Polyphenols are found in both coffee and fresh fruit and vegetable associated with a Mediterranean diet. “The majority of human epidemiological studies suggest that regular coffee consumption over a lifetime is associated with a reduced risk of developing Alzheimer’s Disease, with an optimum protective effect occurring with three to five cups of coffee per day,” said Dr. Arfram Ikram, an assistant professor in neuroepidemiology at Erasmus Medical Centre Rotterdam, who presented his findings at the symposium. “The findings presented in this report are very encouraging and help to develop our understanding of the role nutrition can play in protecting against Alzheimer’s Disease. 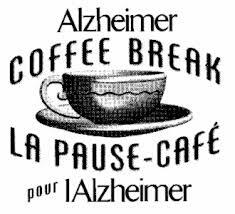 Coffee is a very popular beverage enjoyed by millions of people around the world and I’m pleased to know that moderate, lifelong consumption can have a beneficial effect on the development of Alzheimer’s Disease,” said Dr. Iva Holmerova, vice chairperson of Alzheimer Europe. ← Dark Side of the Strawberry report reveals use of hazardous pesticide in the Strawberry industry.